About 5 million paper checks for Social Security are mailed each month - representing an additional $4.6 million in monthly costs, Treasury officials said. Millions of Americans still receiving paper checks for Social Security and other federal benefits have less than two months to switch to electronic payments. 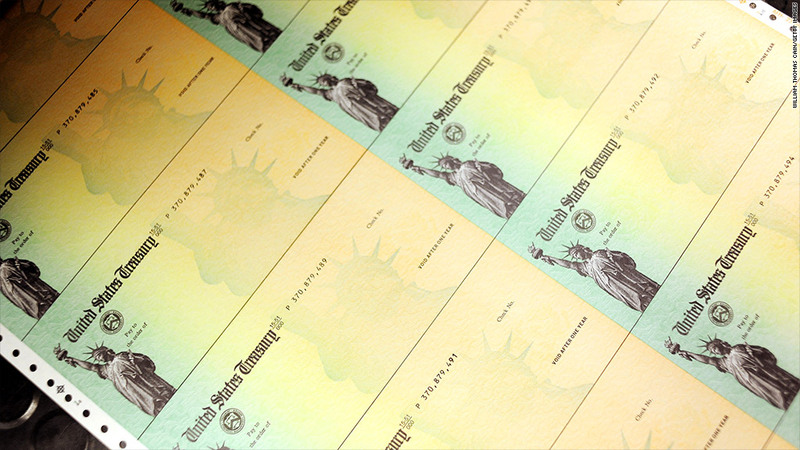 In an effort to cut spending, federal officials began retiring paper checks in favor of direct deposits and prepaid "Direct Express" debit cards in May 2011. 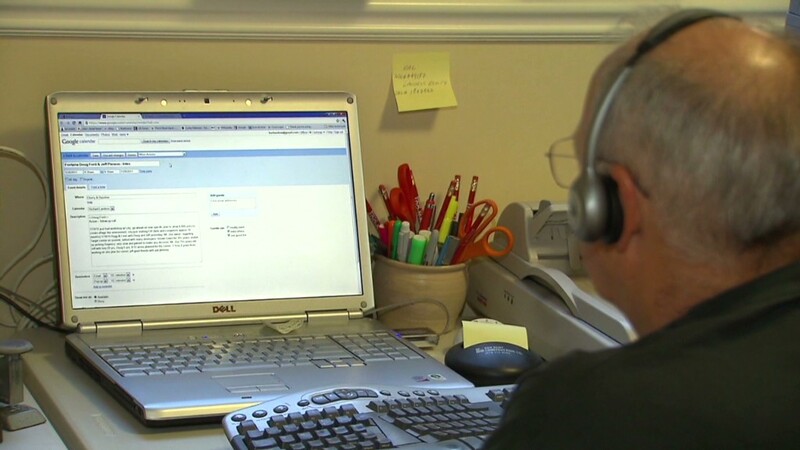 Since then, the Treasury Department has required all new recipients of payments from federal benefits programs -- including Social Security, Supplemental Security Income disability, Veterans Affairs and government pension plans -- to sign up for electronic payments. It set a March 1, 2013, deadline for all other recipients to do the same. Roughly 93% of payments are now being made electronically. But about 5 million checks are still mailed each month -- representing an additional $4.6 million in monthly costs since each mailed check costs 92 cents more than a direct deposit transfer, Treasury officials said Tuesday. The agency said if it didn't push for the switch to electronic transfers it would cost taxpayers another $1 billion over the next 10 years. So now, the agency is urging remaining check recipients to beat the March 1 deadline. The department has partnered with more than 1,800 local, regional and national banks, credit unions, social service agencies and community groups to get the word out through mailings, public service announcements and its web site. Anyone who fails to make the change will still receive paper checks, but will be the target of more aggressive communication efforts, such as additional mailings, said Walt Henderson, a Treasury official. "We won't interrupt their payment, but we will be communicating with them in a more personal direct way," he said. "After March 1, they are not in compliance." California, Texas and New York have the largest number of residents who have yet to convert to electronic payments, with more than 1 million people receiving monthly Social Security and disability checks as of November. Electronic payments are safer than paper checks, Henderson said. In 2011, more than 440,000 Social Security checks were reported lost or stolen, while $70 million worth of checks were fraudulently endorsed. "It's just really the best way to receive your payment," Henderson said. Still, electronic payments come with their own fraud concerns. In September, Patrick O'Carroll, inspector general of the Social Security Administration, told Congress that identity thieves fraudulently redirected seniors' benefit payments to different bank accounts using stolen Social Security numbers. To prevent fraud, officials recommend that seniors never provide personal information to unsolicited callers and always check with a local Social Security Administration Office if contacted by someone claiming to be an administration employee. "The government won't call you asking for information," Henderson said. To report suspicious activity, contact the Social Security Fraud Hotline at 1-800-269-0271. To sign up for benefits, recipients can visit www.GoDirect.org, call a toll-free helpline at 1-800-333-1795 or speak with their local bank or credit union representative. Recipients must have their Social Security or claim number, 12-digital federal benefit check number and the amount of their most recent federal benefit check. For direct deposit, recipients also will need their financial institution's routing transit number, (often found on a personal check) account number and account type (checking or saving).